Varna city, sea capital of Bulgaria. The city of Varna is about thousand years old. It was first inhabited by an ancient Thracian tribe, Corbisi, which had a small fishermen settlement there. In the 6th century BC a Greek polis, named Odessos, emerged there. Up to the 1st century BC it was an independent polis, which minted its own coins with the image of its god. In the 9th century it was already called Varna. The town was included in the territory of Bulgaria in the beginning of the 13th century during the reign of King Kaloyan. The city of Varna is the third largest city in Bulgaria and has developed into a seaside resort, and a favourite holiday place for the Bulgarian cultural elite. It is widely called the seaside capital of Bulgaria as it is the biggest city at the Bulgarian coast. The city lies in the Bay of Varna, nestled in a deep valley. The city's structure resembles an amphitheatre as it follows the curves of the Bay of Varna. It is surrounded by gardens, vineyards and groves. The city's peculiar sea charm is sublime and moving. Ancient, medieval, renaissance and modern cultures mingle and coexist through the city. There is hardly a city in Bulgaria apart from the capital that has so many museum opportunities. A restored Roman spa built in the 2nd century during the reign of Antony Pii and a Roman Bath dating back to the 3rd century can be found in the downtown. The Holy Virgin Cathedral, considered to be the most impressive monument of the city, rises in the very centre of the city. The St. Nikola Church lies opposite our office, which is located near the Sea Garden Park and dates back to 1866. The Clock Tower, built in 1880, rises just across the cathedral. The Theatre of Drama, where the first-ever Bulgarian theatre performance was held, is also a must-see place in the city centre. It was built nearly a century ago and resembles Vienna buildings of that time. Not far away from the Theatre of Drama is the Puppet Theatre, where the Golden Dolphin Festival of puppets takes place each year. 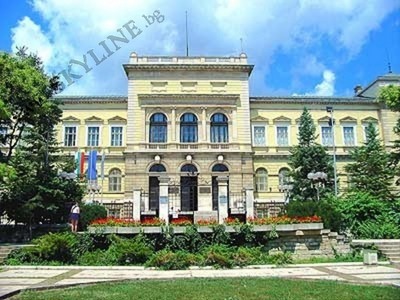 The city also has a number of museums, including the Archaeological Museum, the Museum of National Renaissance, the Naval Museum, the Vladislav Varnenchik Park-Museum, the Ethnographic Museum, the Museum of Nature and Science, the Aquarium and the Black Sea Museum, the Museum of Medicine and the Museum of Art and History of Varna. The latter has a particularly rich collection including the Gold Treasure of Varna, dating back 6,000 years ago, weighing some 6 kg and containing the oldest gold works found in the world. The Sea Garden is another favourite place of visitors of Varna. The garden, finally completed in 1908, shelters an amphitheatre, an astronomic site with an observatory, planetarium and a tower, children playgrounds, and a small channel, where one can practice rowing, a pool with water wheels and a zoo. The Dolphinarium is one of the favourite attractions for children and guests of Varna for its regular performances of talented dolphin artists. Another noteworthy place is the Asparouh Bridge (named after the founder of the Bulgarian state, Asparouh), which is the longest bridge in Bulgaria and risklovers can even try a dreadful Bunji jump here.